Mobile payments are becoming increasingly popular and Harbortouch is proud to deliver the best program out there to serve this market. 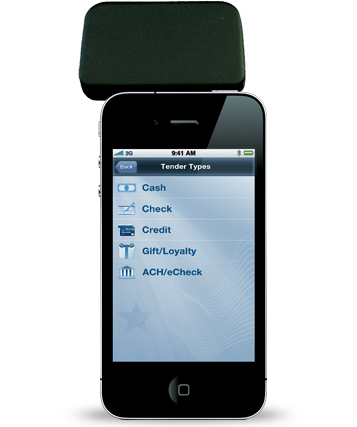 To accommodate the rising use of mobile payments, Harbortouch has introduced a secure mobile payments application with a free audio jack reader or optional Bluetooth receipt printer. Compatible with Apple, Android, Blackberry and Windows Mobile devices, this application enables merchants to quickly, easily and securely accept credit and debit card payments through their smart phone or tablet, anytime, anywhere. Suite 400, Duluth, GA - 30096. The benefit of this tiered package is the amount of choice given to you. You can choose which vendors you prefer to produce your orders and specific products through. You can choose to have us fulfill your orders or a vendor of your own choosing. “Zloud Print Management Solutions” refers to the option you have to “Push” product to our product fulfillment center, where they are then filled and blind-shipped directly to your clients or your own. If you already fulfill or broker products to your own vendors outside of Zloud Print Management Solutions, there is an easy to use sales sheet interface that can help make the management of your orders simple and streamlined. With the Optional Fulfillment (Zloud Print Management Solutions) Storefront you are using your own credit card processing account. You can take advantage of our product fulfillment or a vendor of your own choosing. ✓ Option to fulfill, broker to, and vendor any product ordered through your site. ✓ Easy to use sales sheet with streamlined work flow making managing your orders simple. ✓ All content of your site can be edited (by you) from the admin panel. ✓ Change the theme, product and branding images of your site from the admin panel. ✓ Comprehensive reporting of sales and customer activity. This platform is optimal for Screen Printers, Large Format Printers, Sign Shops, Print/Copy Shops, and Experienced Print Broker. If you would like powered by Zloud Print Management Solutions removed there is a small one time fee.